This winter marks CIESIN’s 25th anniversary since its founding in late 1989. Established as a non-profit consortium based in Michigan, CIESIN grew up when the Internet was just starting to develop, when the Mosaic browser was the only window to the nascent WorldWideWeb. It was also a time when new geographic information system software and data were beginning to emerge as tools for visualizing and analyzing interdisciplinary environmental problems. 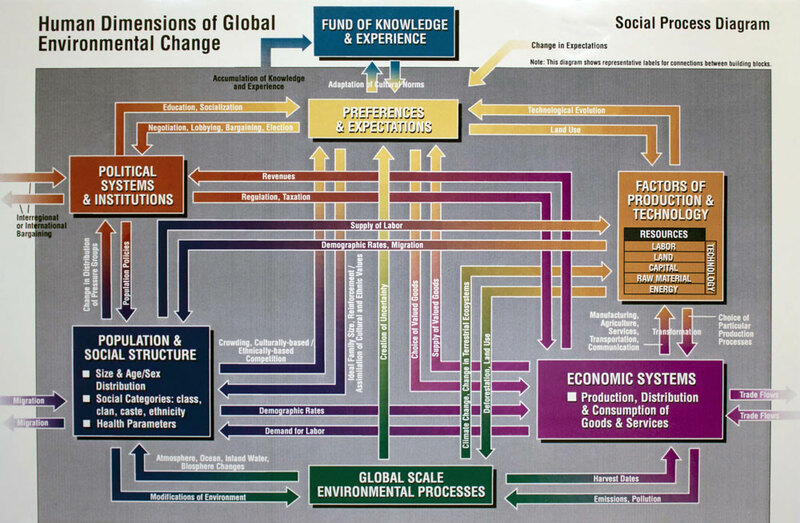 Over the past 25 years, CIESIN has evolved substantially, hand in hand with the Internet and our ability to marshall the power of information technology to enable interdisciplinary research, support real-world decision making, and promote sustainable development. Since our move to Columbia in 1998, CIESIN’s core mission has remained stable, but our capacity for engaging in research, practice, and education has grown dramatically as part of the Earth Institute. Our staff members teach a range of courses across the University, provide training around the world, and develop and implement tools and data used at local, national, and global scales. We have diversified our portfolio of projects and our funding base, and expanded the core set of socioeconomic and environmental data and information resources that enable interdisciplinary research and applications by diverse user communities. An independent expert advisory group commissioned by UN Secretary-General Ban Ki-Moon produced a report on the critical importance of harnessing new ways of monitoring and utilizing data in decision making for sustainable development. But at the same time, the problems we face locally, regionally, and globally continue to pose difficult and growing challenges for science and society. In the past 25 years, global population has increased by about 2 billion, and anthropogenic climatic changes once thought to be in the distant future now appear under way with major impacts on society. My first paper, co-authored with the late Stephen Schneider and published in 1980, assessed the potential impacts of climate-induced sea level rise—then an intellectual exercise in risk assessment, but now a very real threat to current as well as future generations. The need for better data and information in decision making, for mobilizing science and academia in support of sustainable development, and for encouraging innovation and participation in all aspects of society is urgent. This fall, I had the privilege of serving on an independent expert advisory group commissioned by UN Secretary-General Ban Ki-Moon on the “data revolution for sustainable development.” Although given only two months to produce a report, the group of experts from diverse backgrounds quickly came to a consensus on the critical importance of harnessing new ways of monitoring and utilizing data in decision making to accelerate sustainable development and address pressing societal and environmental challenges. 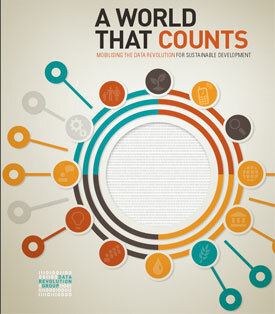 The report, A World That Counts: Mobilising the Data Revolution for Sustainable Development, is helping to elevate the need for increased investment in data and monitoring by both the public and private sectors as an integral part of the “post-2015” development agenda. 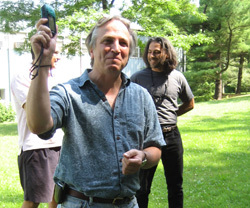 A scholarship fund has been established at the Earth Institute to honor Mark Becker, former CIESIN associate director for Geospatial Applications, who passed away in February 2014. The fund will support student training and education in geospatial methods and technologies. It therefore seems clear that the need for “boundary” organizations like CIESIN and many of the other Earth Institute centers can only continue to grow. As we look ahead from a few years to a few decades, we must move aggressively to utilize both existing and new sources of data, to develop and implement new approaches and tools, and to work with stakeholders to devise and test new solutions. We also need to proactively work with our partners, funders, and user communities to build the sustainable infrastructure necessary to extend the power of the Internet to those who have limited access or capacity, including future generations whose survival and welfare will depend on today’s decisions and actions. This has been a challenging year for CIESIN. We continue to mourn the untimely loss of Mark Becker, whose dedication to geospatial education and outreach and to local and regional environmental stewardship was unmatched. We welcome the return of Greg Yetman, whose recent experience in the private sector will help us scale up our geospatial capabilities to tackle even more difficult problems. I am also pleased that Alex de Sherbinin has agreed to take on the role of associate director for science applications beginning January 1, leading our interdisciplinary team of scientists and strengthening our capacity for innovative research, data and information development, and practical applications. As we look ahead another 25 years and beyond, it will be our ability to understand, predict, and adapt to a rapidly changing world that will enable not only CIESIN, but also all of humanity to survive and thrive. 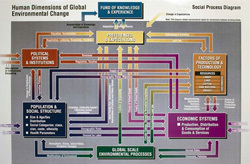 CIESIN is a center within The Earth Institute at Columbia University. Copyright© 1997-. The Trustees of Columbia University in the City of New York.